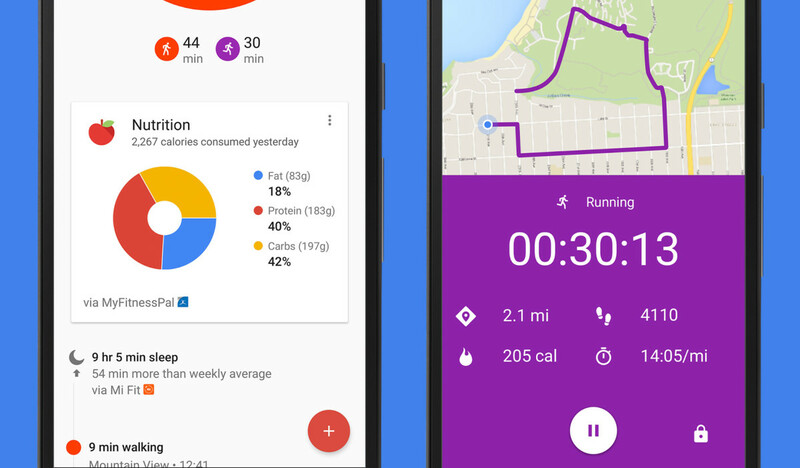 Google Fit is about to get a lot more useful for people who take fitness tracking seriously. The app today is adding support for more robust workout tools as well as integration with popular fitness apps like MyFitnessPal and LoseIt. First up, a new instant insights panel shows real-time stats during walks, runs and bike rides. The app will show information such as your running pace, distance, steps and calories burned. Meanwhile, you can use your Android Wear watch to track repetitions and sets of exercises like sit-ups push-ups and squats. It will automatically detect and count each repetition, although Google doesn’t specify if this works with other strength training movements as well. Perhaps the most useful upgrade is support for data from popular fitness apps MyFitnessPal, Fatsecret, Lifesum and LoseIt. That means you’ll actually be able to get a picture of your nutritional intake in addition to the calories you’re burning. The app can also track your sleep now too. The new Google Fit is rolling out to everyone today, though it may take a few days longer before integrations with fitness apps begin working.